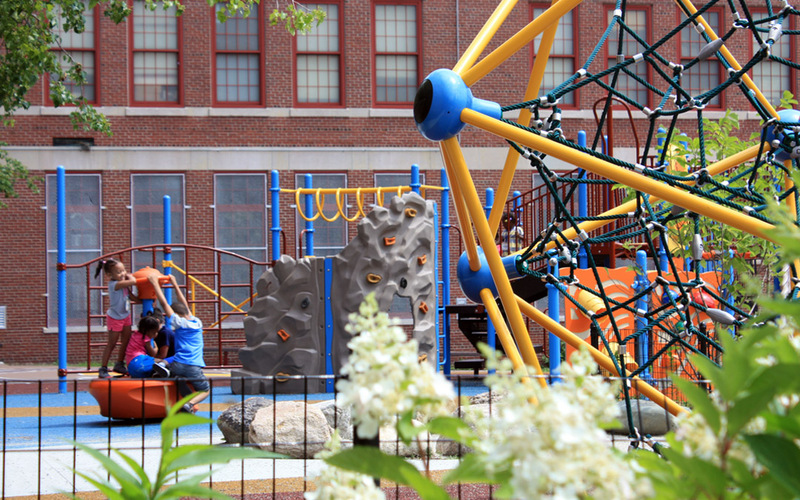 This schoolyard was designed as part of the Boston Schoolyard Initiative, a partnership between Boston Public Schools and the Boston Schoolyard Funders Collaborative. In response to a request from students and teachers, Warner Larson created a vibrant, colorful design that reflected the cultural heritage of the community. The colors and patterns were inspired by a traditional African head scarf, and are clearly visible from the school classrooms above. 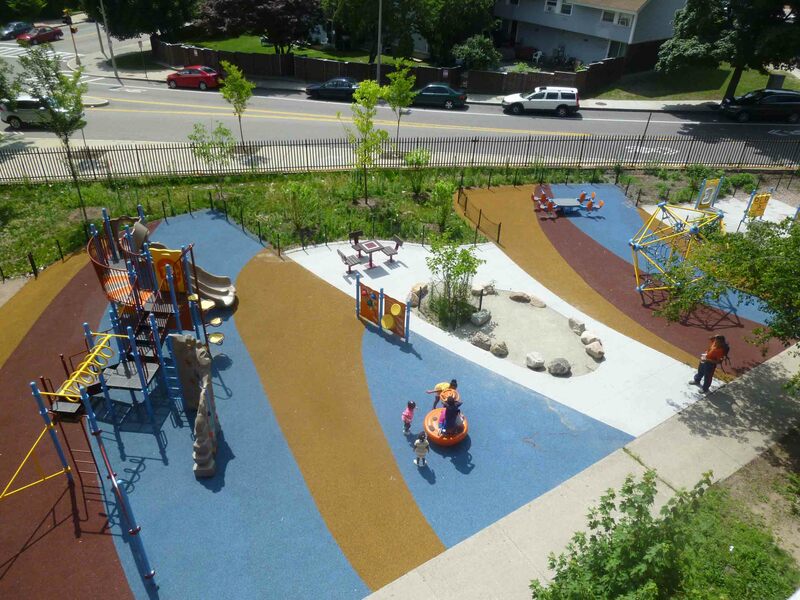 Playground elements were carefully designed with regard to the needs of the school’s autistic students by utilizing outside consultants. 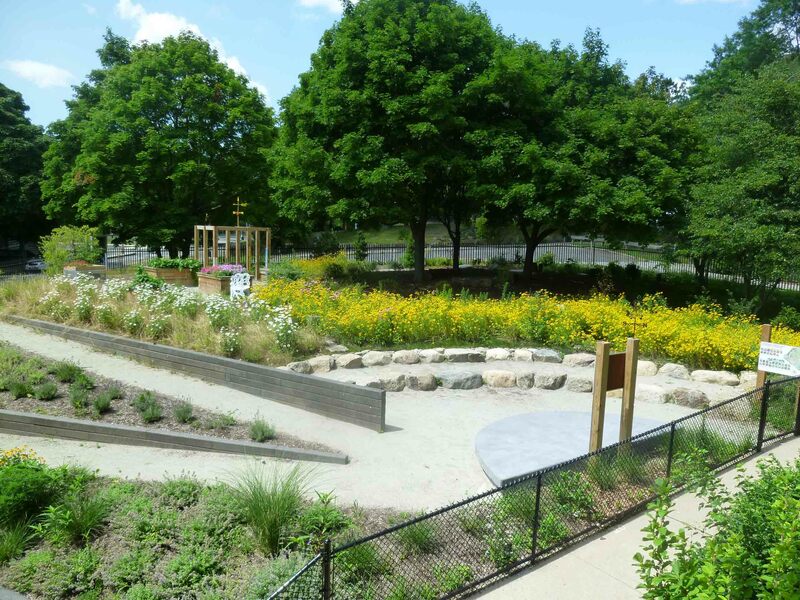 The urban playground was buffered with new plantings in and around the play space to provide shade and sheltered seating. 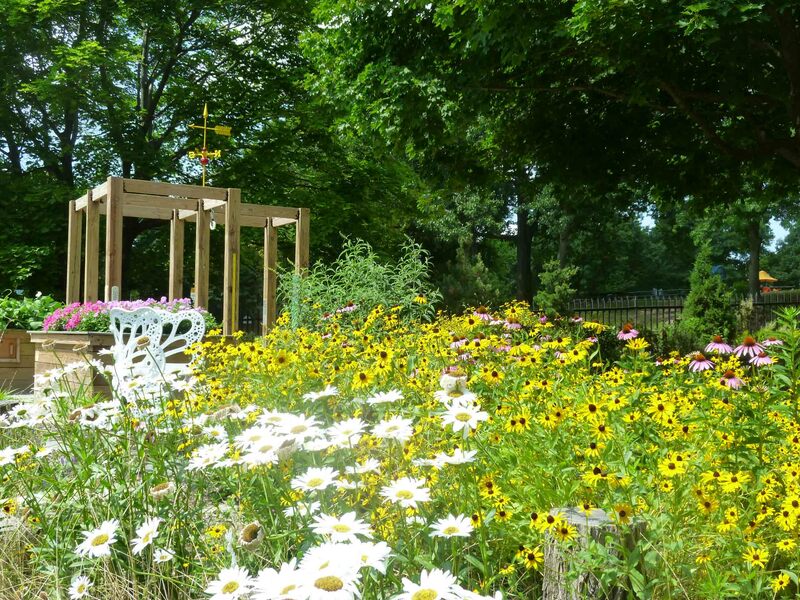 There was also a bonus “peace garden” created with the community, which is maintained by a local church group. 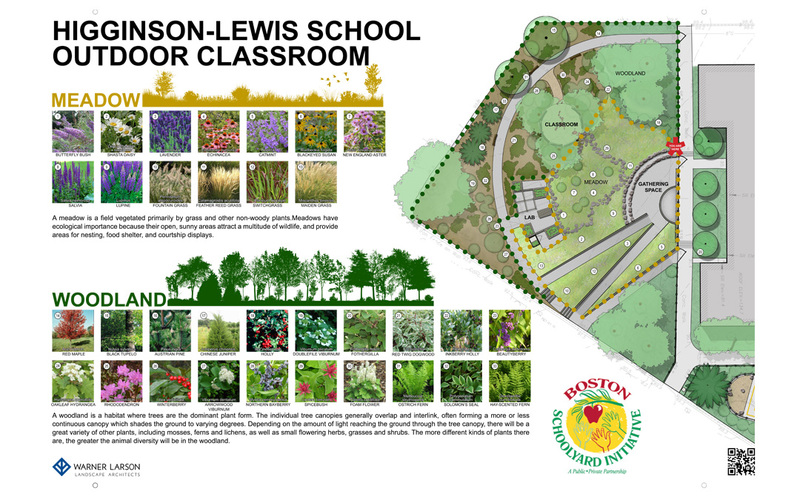 In addition, Warner Larson designed an outdoor classroom comprised of woodland and meadow habitat, an amphitheater/performance space, science lab, and vegetable planters. 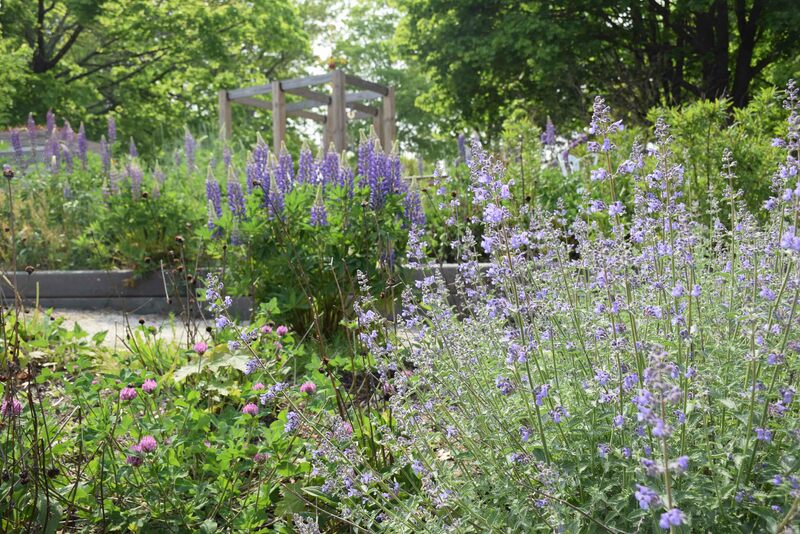 This transformation was intended to encourage interaction amongst students and provide educational opportunities within the landscape.